We got up early to see the moon set over the Sierras and Alabama Hills as they were being highlighted by the early morning sun. It was a great morning. We feasted on pancakes in Lone Pine afterwards!!! The morning even got better! 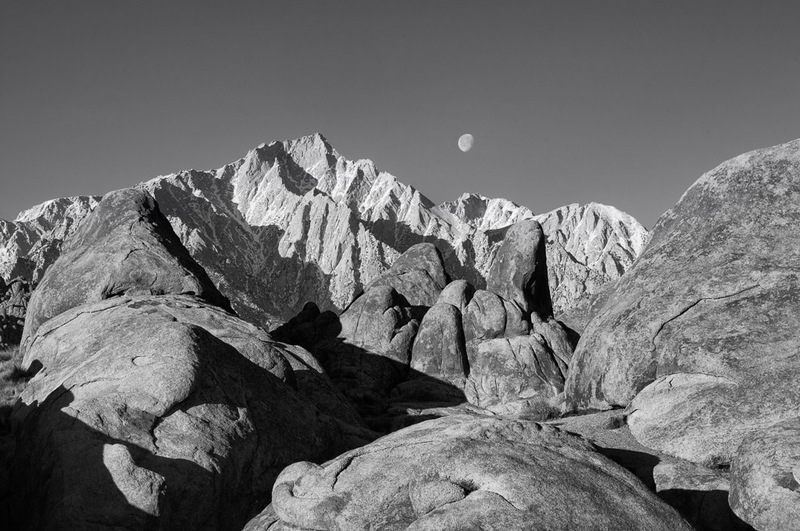 This entry was posted in B&W Photography, Geology, Landscape Photography, The Grand Landscape and tagged Alabama Hills, Mountains, rocks, Sierra Nevadas on March 11, 2019 by kgrafphoto.